We had another “Winers” night last Saturday at the lake. We normally have a large crowd, but this time there were only three couples because many of the usual winers had other obligations. Our summer winers nights tend to be light and not as frequent because of summer obligations and plans. Tonight was to include a bottle of wine gifted to Lois from a friend of hers on the east coast. The wine was from a winery in the New Jersey area that Lois’ friends frequent and wanted Bills Wine Wandering to review it. I was looking forward to trying a new wine and one from New Jersey was intriguing! The festivities began around 5pm. We began the night with a glass of Rose’. When Rich and Lois arrived with the Cabernet Franc, it was a bit cool so Dave and I decided to pull the cork and allow the bottle sit on the table a while we enjoyed our Rose’. Soon we decided to try the 2010 Silver Decoy Cabernet Franc. Lois was admittedly a little nervous and warned her friend not to be upset if the review was less than stellar. I try to be open-minded and enjoy trying new wines at any time; so I appreciated the opportunity to sample among friends. If you have a wine you would like me to try to review, I would be happy to do so! I poured the six of us a glass and I grabbed my tasting sheet. Here are the groups notes. 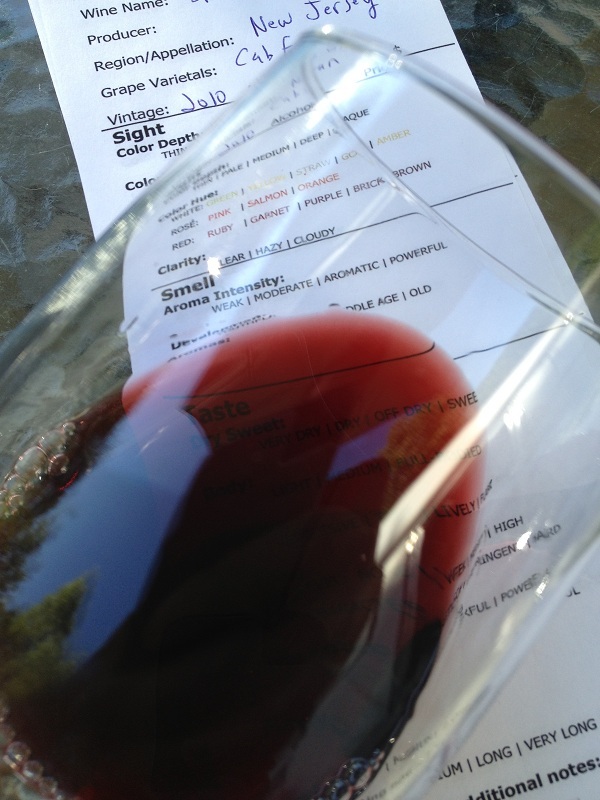 The Cabernet Franc had a medium color depth and a garnet hue. There was no sediment in our glasses or the bottle. After swirling my glass slightly the Cabernet Franc’s aroma was moderate and fruity. We noted black cherry and black berry. The Cabernet Franc was slightly dry and was medium bodied and it was slightly tart. The tannins were medium to weak but remained soft. The flavor intensity was medium and we could really taste cherry. abv: The label did not should the percentage. I thought that was quite odd. How much: It was a gift from Lois’ friend on the east coast, so I’m not sure. 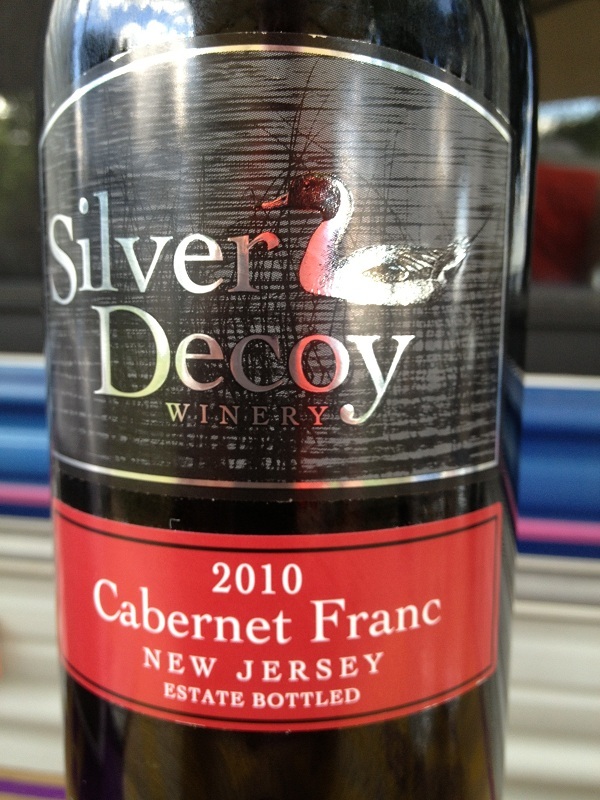 I rated the 2010 Silver Decoy Cabernet Franc two glasses. To be honest, I felt this wine tasted more like a red blend. Typically, Cab Franc wines I have had tend to have more of a vegetable and “Green Pepper” like finish. 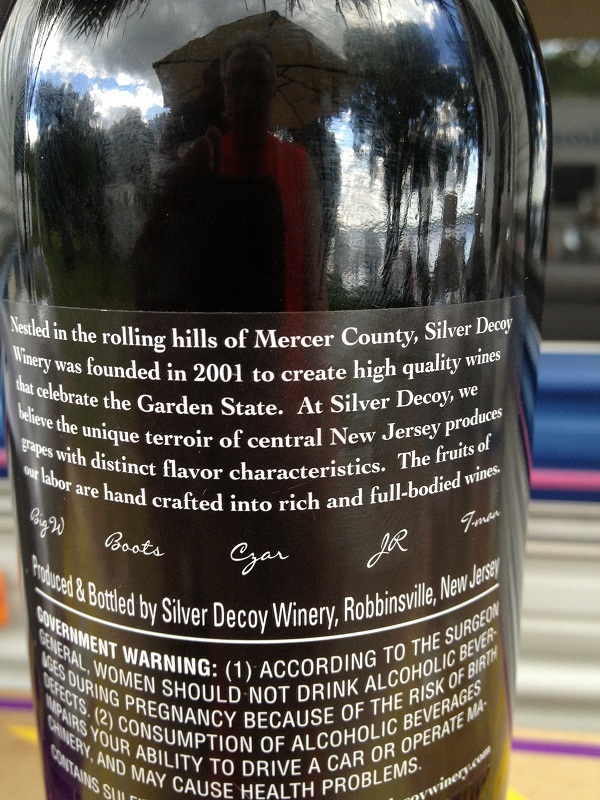 The winery formerly called “Silver Decoy Winery” is going through a name change. Once we have trademark approvals on our new name, you can visit our new website. Please direct any inquiries to briancarduner@optimum.net. Send an email to this address to sign up for our mailing list, to be notified when our new name is approved. So if you want to learn more I would suggest you send an email to the address above. I did take a picture of the back of the bottle so this is really all I know about the winery. Hopefully the website will be back up soon.